Like nearly every automotive manufacturer during this time period, General Motors and Chevrolet moved quick to combat the oil crisis, in which Americans realized fuel economy was an important deciding factor in purchasing a new vehicle. As for pickup trucks, Chevrolet answered with an all-new truck to sway consumers. That was the 1982 Chevrolet S-10. Introduced for 1982, the S-10 was smaller, arrived with an Isuzu-assembled 1.9-liter four-cylinder engine and carried a 1,500-pound payload rating when equipped with the GM 2.8-liter V6 engine. Like most engines of this time period, they were seriously lacking in power. The range-topping 2.8-liter V6 engine produced just 110 hp. The inline four-cylinder engine? 82 ponies. The S-10 would go on to suffice as the entry-level pickup for years to come, eventually becoming the Chevrolet Colorado. However, Chevrolet has kept the S-10 name for various South American markets, where it has been sold since 1995. 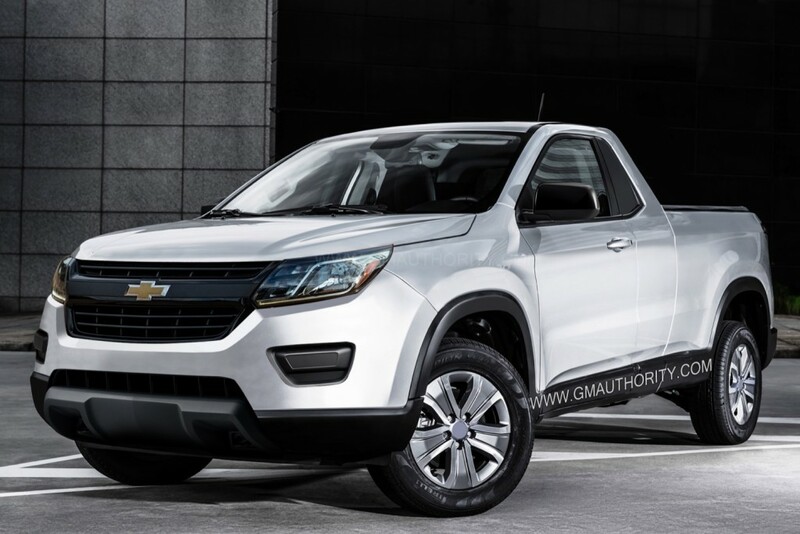 If you wonder if the S-10 could potentially return to market, there has been low-key chatter on an entry level pickup from Chevrolet, knowing the current Colorado is the size of full-size trucks of yore. We think it could look something like what you see down below. My first vehicle was a brand new ’82 S-10, with the same blue-black color combo shown in the ad! Thanks for posting.